First year student Emi falls for Junta, a boy in her class who is in love with Emi's perfect older sister Miki. 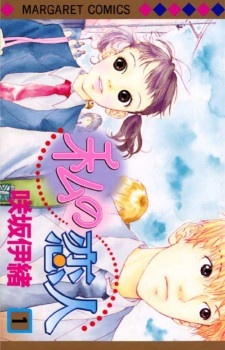 Watashi no Koibito is one of Sakisaka Io's earliest mangas which is evident by the style of theart, which differs greatly from Io's more popular Strobe Edge and Ao Haru Ride. Although the art was not the strong point of this manga, it did it justice. The plot however, was amazing. When you first start reading it, especially if you've read some of Sakisaka Io's other works, you would expect romance to be the driving force behind this manga. But it isn't, Io writes a story that deals with rejection, feeling inferior, unrequited love, without being overly sappy or romantic. There are 2 one-shots in this manga as well; Second Bloom and An Unrequited Love. Second Bloom was quite long for a one-shot, but didn't drag on or feel tedious. It was a cute story and I really enjoyed it. However, I think An Unrequited Love was much more interesting. There is no speech or thought, just art until the very last page, and it feels very whimsical. I would definitely reccomend this manga, especially if you love Sakisaka Io's other works.